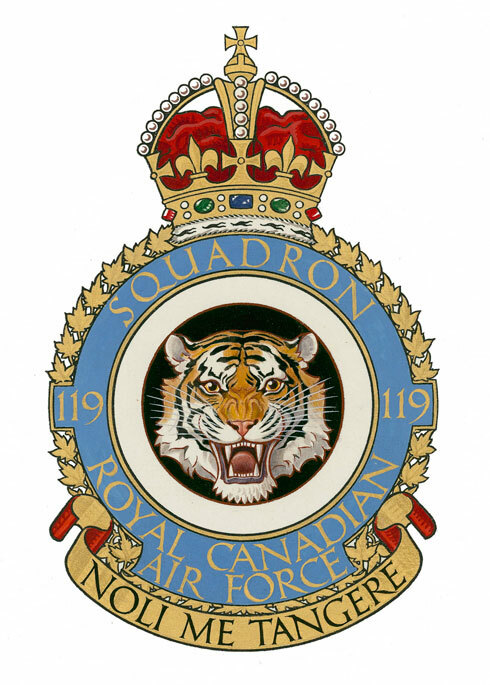 The tiger’s head is associated with the city of Hamilton, Ontario, where the squadron was formed. The tiger’s speed and effectiveness in action were consonant with the squadron’s aircraft. It is the habit of the tiger to spring on its prey from above, which is symbolic of the squadron’s dive-bombing actions.